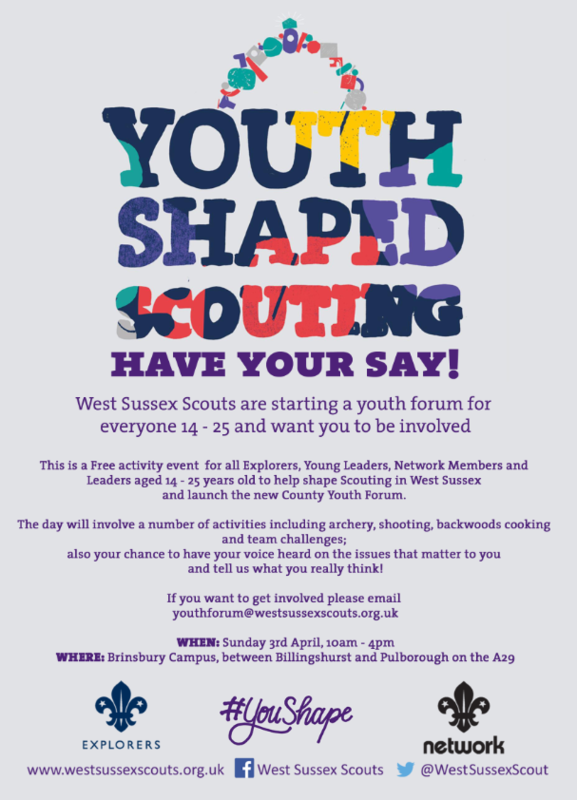 On Sunday 3rd April, West Sussex Scouts are holding a free activity event for all 14 – 25 year old members to help shape Scouting in West Sussex and launch the new County Youth Forum. The day will involve a number of activities including archery, shooting, backwoods cooking and team challenges; and your chance to have your voice heard on the issues that matter to you in Scouting. AOB: An activity permission will be emailed to you prior to the event for completion and returning on the day. Got a question? Contact Matt Pike [email protected] for event details / Contact Mark Eastman [email protected] for local information.